Credit: The Agora Project team. Image by hostwriter. Few issues stop at borders, but the journalists covering them still do. "We live in a globalised world and not only the deep investigative stories have the need to go cross-border, because all issues and all sectors in our lives are crossing borders," said Felix Franz, project manager at hostwriter, a network that connects journalists from all over the world to facilitate editorial collaborations. This year, Franz has been working on The Agora Project, a reporting initiative that saw 10 journalists from different countries (Croatia, Spain, Greece, Germany, Serbia, Italy, Great Britain, Austria, and Portugal) help each other place their stories in an international context. They met up in Armenia and Sweden, and worked in a virtual newsroom including Slack and WhatsApp groups to keep up with the latest developments on each topic. 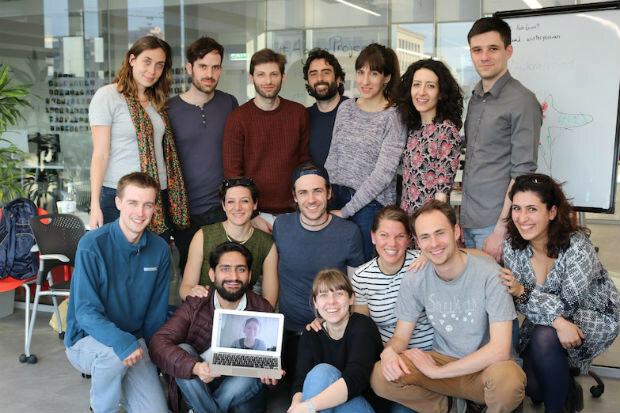 Hostwriter, based in Germany, collaborated with a team of change-makers from Armenia, and The Agora Project was funded through the Advocate Europe idea challenge. Applications opened at the beginning of 2017 with a call for stories that touched on the broad issue of polarisation, and subjects that polarise societies. Of 200 applications, ten journalists were chosen and invited to Armenia for the initial meeting. "The main goal [for the meeting] was that the journalists got to know each other and their story ideas, and that they built trust," said Franz. The aim of the project was for stories to become “broader and put in a European context”, as well as for participants to learn from each other and add depth to their reporting. Franz and Geri Creming, freelance reporter and foreign correspondent, and Australian ambassador for hostwriter, spoke over Skype with all the participants individually to help them shape their stories. The virtual newsroom was utilised for any questions and requests, such as finding voting results in similar communities around Europe for example – data that would take a single reporter perhaps months to compile, but only a few minutes for each journalist to find and share data from their own countries. "We had this setting where everybody was invested in each other's stories, so you had the opportunity to make a story a lot better with all of your contacts, but in return you also had the others," explained Franz. Topics explored included the situation of asylum seekers in Europe once their applications have been rejected, trust in the media, and the rise of the left in politics on the Iberian Peninsula as many other European countries see right-wing populists gain ground in the public sphere. Stories coming out of The Agora Project have been published by media organisations throughout Europe, such as Süddeutsche Zeitung, Huffington Post Greece, Le Courrier Des Balkans, and Il Dubbio. All stories are published in English in an online dossier. Daniela Sala, an Italian multimedia journalist and photographer who wrote about asylum seekers for The Agora Project, explained the benefits of this workflow: "I think collaboration should be the future of journalism, as opposite to parachute journalism. Having the chance to work with a colleague who has an invaluable knowledge of the country where he/she is based is key." The initiative aimed to explore not only the issues that cross borders, but also the solutions. "There's so much possibility to learn from each other," said Franz. "Look to your neighbours and you've got a perfect comparison as well." Felix Franz will be speaking at Journalism.co.uk’s upcoming newsrewired digital journalism conference on 22 November in London. He will join a panel on collaboration, exploring best practices for editorial projects that span different teams, skill-sets, and even organisations.